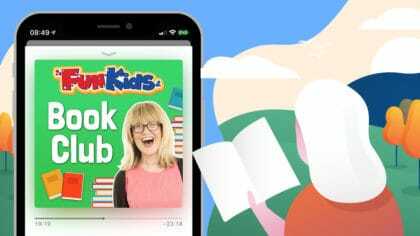 Amber Lee Dodd, Hilary McKay and Celia Rees in the Fun Kids Book Club podcast! It’s the first episode of the Fun Kids Book Club podcast of 2019! In it, author Amber Lee Dodd joins Bex to chat all about her new book ‘Lightning Chase me Home’! We’re also joined by the winner of the Costa Children’s Book Award, Hilary McKay. She wrote ‘The Skylarks’ War‘ – a story all about war and growing up. Finally, Celia Rees chats about her fantasy book ‘Glass Town Wars‘, and even gives us a reading! We’re also sharing five books to kick off your reading in 2019, so whether you’ve made a new year’s resolution to read more or not, you can catch up on what’s hot right now! Every month, Bex is here for the Fun Kids Book Club where she meets your favourite authors and finds out what makes them tick. They also stick around and read parts of their books for us! 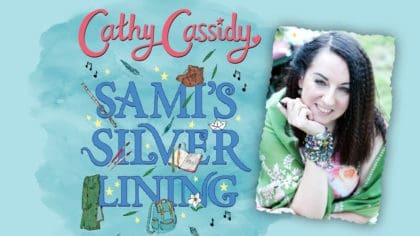 Plus, Bex and friends recommend their favourite kids books of the month. Subscribe on the links above and check the Fun Kids website to stay up-to-date!